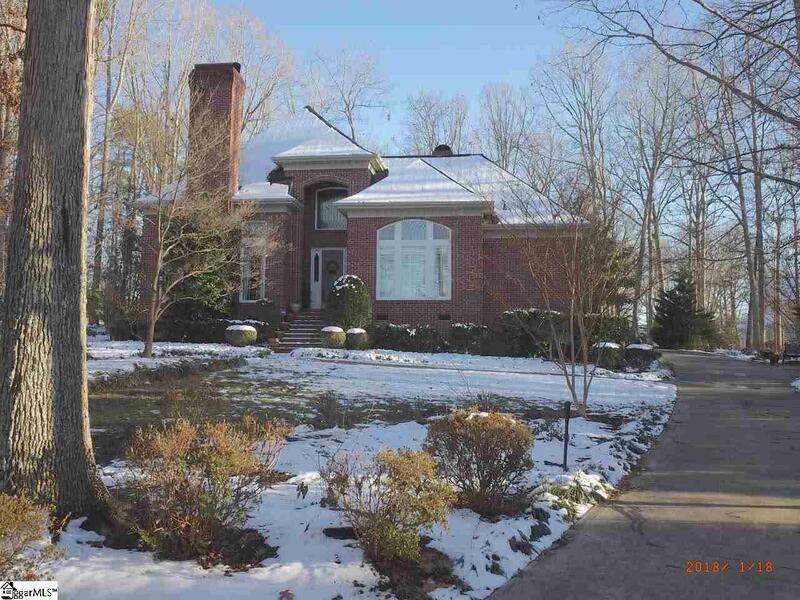 Looking for a home in the Eastside of Greenville on over an acre? Look no further! From the moment you drive up to this stately home you will notice the beautiful setting on 1.17 acre with beautiful hardwood trees surrounding the home for the ultimate in privacy! 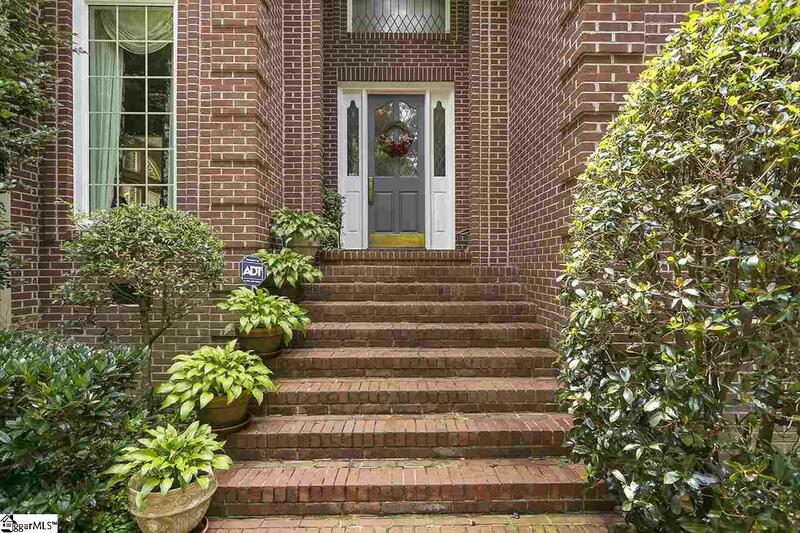 The craftsmanship is exquisite with large dental molding at the roofline of the home and grand brick work! Once you walk into the home you will see meticulously maintained slate floors with a grand circular staircase and two story foyer. To the right the large formal Living room boasts a brick wood burning fireplace and to the left of the foyer is the extremely large Master Suite on the main level. The Master bathroom features double vanities, a garden soaking tub, separate shower and three mirrored closets! Off the Master suite you will find a small screened in porch, perfect for your morning coffee and the private courtyard patio with soaking tub! The two story family room features beautiful woodwork details like no other! And don't forget the wet bar off the family room hidden behind some closet doors! The formal dining room opens up to the formal living room, perfect for entertaining. The kitchen features newer Jenn Aire appliances that were added in 2015, an island, ceramic countertops, an eat-in bar and breakfast area large enough for a small couch too for lounging! The second bedroom on the main level has a full bathroom attached to it as well! Upstairs you will find two more bedrooms with a jack and jill bathroom. One even large enough that it could be a second master suite or bonus room if needed! There is a huge walk-in closet and walk in attic storage off that room as well! 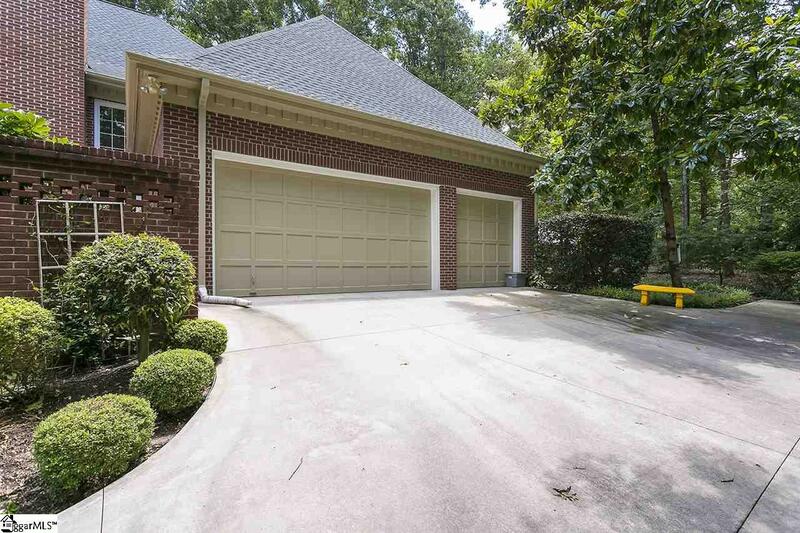 Not to mention the newer driveway (2.5 years old) with additional parking and a oversized Triple side entry garage! 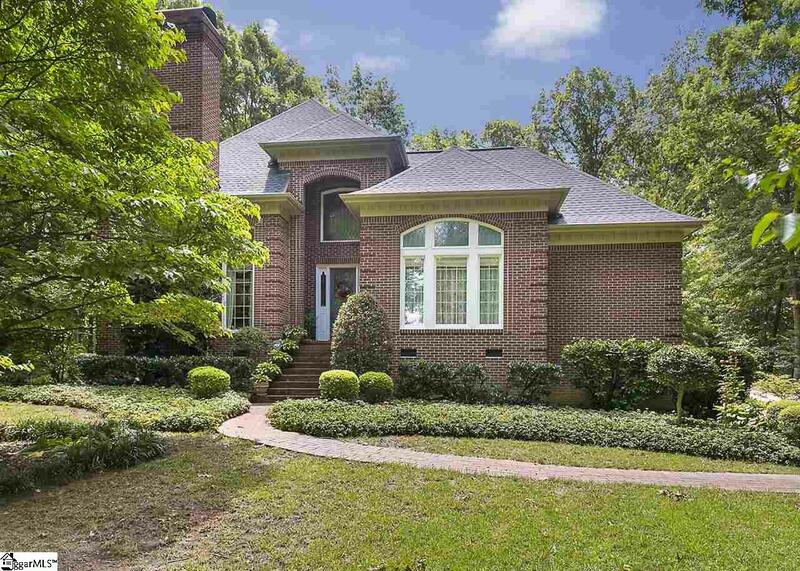 Chaunessy is a gorgeous neighborhood with stately homes featuring tennis courts and located right off Roper Mountain Road between Hwy 14 and Garlington Road! You won't want to miss this beauty!